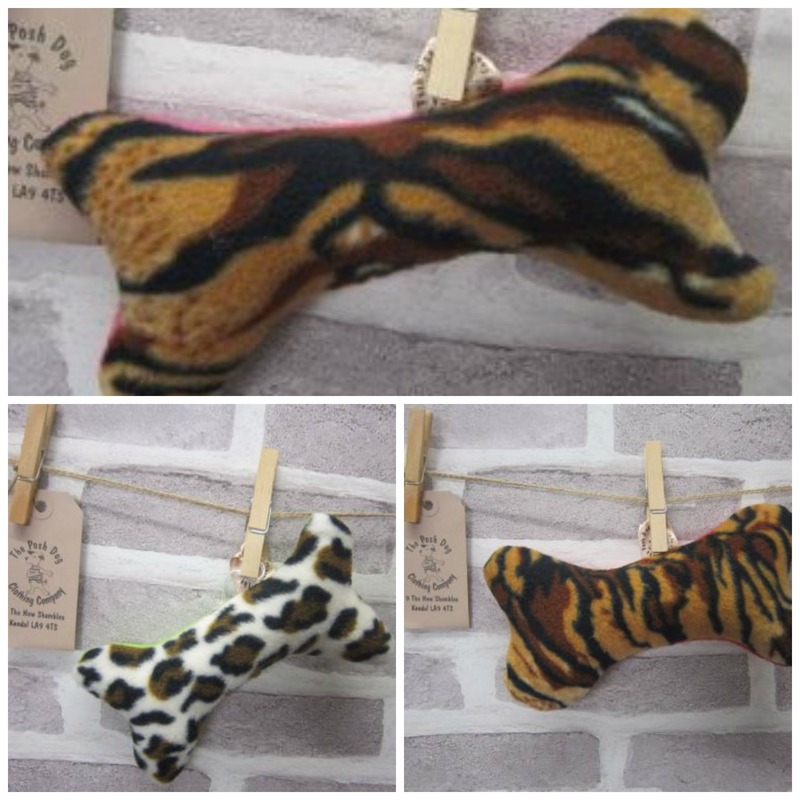 I have just added loads more fleece bone shape toys to the site. All the different sizes and noises – no noises. This batch is all about the fun fur animal patterns coupled with bright, plain backs.